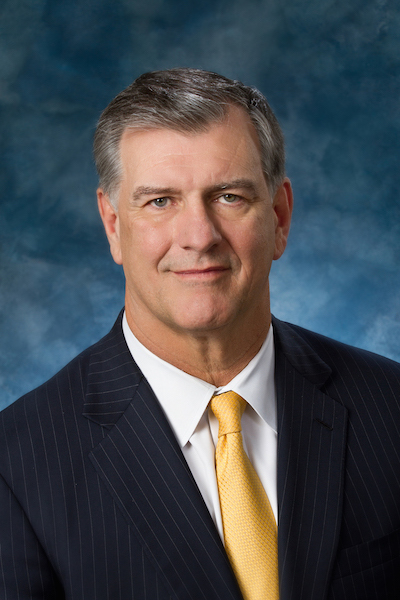 DALLAS — Dallas Mayor Mike Rawlings will be honored by the Dallas Holocaust Museum-Center for Education and Tolerance at its annual Hope for Humanity Award Dinner at the Fairmont Dallas at 6 p.m. Thursday, Dec. 3. Mary Pat Higgins, president and CEO of the Dallas Holocaust Museum, said the mayor’s superlative work netted him the honor. This includes his support of Dallas cultural institutions, his skill at bringing together government officials, businesses and academic institutions and combining these elements into a stronger, more vibrant and innovative city, she said. The Hope for Humanity dinner is the primary annual fundraising event of the Holocaust Museum. Money raised by the dinner goes to fund the museum’s exhibits, student programs, educator conferences and other community service events. The winner who is honored each year is typically a member of the community who specifically supports the Museum’s mission of education and tolerance. In 2014 Stan Rabin was honored as the Hope for Humanity Award recipient. In a brief telephone interview Friday, Nov. 20, Mayor Rawlings said he is very proud to receive the award. The mayor said he is a big fan of the effort underway to construct a new and much larger permanent Holocaust Museum facility. A subcommittee of the museum’s board of directors is in the process of researching expansion alternatives, development plans and budgets and to execute preliminary actions toward constructing a new building. Mayor Rawlings said there is a great need for effective dialogues about race and tolerance. Today’s national argument might be about admitting Syrian refugees into the United States. But it should always be remembered that during World War II, the same argument took place about accepting Jewish refugees, he said. Former Senate Education Chairwoman Florence Shapiro, R-Plano, said the mayor is an upstander — someone who always stands up and does the right thing, even if alone. Shapiro said Mayor Rawlings has taken a very specific interest in the Holocaust Museum over a number of years and has participated in many activities in the Jewish community. Shapiro and her husband, veteran attorney Howard Shapiro, both are dinner chairs for the event honoring Rawlings, along with Abby and Todd Williams. The mayor — elected in June 2011 — focused his campaign on improving the quality of life in Dallas, according to his platform information. He did this in part with Dallas ISD-related initiatives that traditionally fall outside the list of responsibility for the mayor and city council — such as adopting four southern Dallas schools located in areas prime for growth; working closely with Commit!, an education collaborative for Dallas-area schools; and being involved in both the recruitment of the new DISD superintendent and the election of new school board trustees. The mayor is credited with a development plan for southern Dallas, taking a hands-on approach to improving education, and creating new strategies for growing the arts. He also placed Dallas in the national and international spotlight by taking a leading role with the United States Conference of Mayors. Mayor Rawlings and his wife, Micki, live in North Dallas. Their two children, Michelle and Gunnar, also live in Dallas. The Dec. 3 event starts with a reception at 6 p.m., and the dinner follows at 7 p.m.
To inquire about table and ticket prices, and sponsorships, contact dmcelroy@DallasHolocaustMuseum.org. Melissa Plaskoff (right) created Carpool Talk Show, which can be found on the web at carpooltalkshow.com, on Facebook, Periscope, Twitter, YouTube, and Instagram. 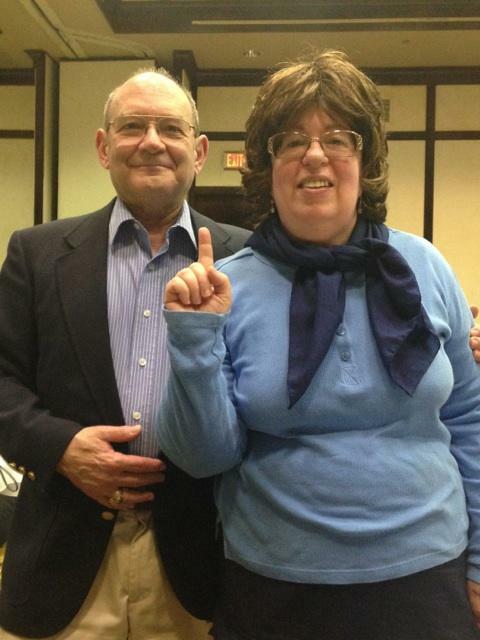 She is shown with guest Jackie Waldman and audio engineer Kevin Ebeling. Melissa Plaskoff (left) and Sarah Crilley Hill cueing up in carpool — the resource for their latest venture, Carpool Talk Show. The two produce and host the podcast series, which can be found on many social media platforms. 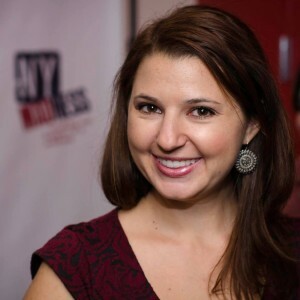 Sitting in the carpool line just got less stressful thanks to Melissa Plaskoff’s pen to paper to social media success Carpool Talk Show, available on Facebook, Instagram, Twitter, Periscope, YouTube and on their own website. “We are providing fun and informative positivity for the ‘dreaded’ carpool ride and while waiting for our children,” said Plaskoff, the wife of Bart and mother of Annabelle (2), Parker (7), and Hudson (10), who are in three schools with three separate drop-off and pickup times and locales. “When kids get in the car it’s so easy to be frustrated from the wait, or annoyed by the cars or people around us not moving ‘quickly’ enough. Plaskoff co-produces and co-hosts the series with Sarah Crilley Hill, with guests of varying expertise from medical and camp advisory professionals to exercise and fashion gurus. From tips for the kitchen and great school lunches and afterschool snacks to road tripping with kids to tech support, Carpool Talk Show will have the answers. With a resume that includes experience as a teacher and in the insurance and real estate industries, Plaskoff, who is affiliated with both Congregation Shearith Israel and Temple Emanu-El, spent a number of years as an at-home mom, then returned to work in business development at RealNewsPR. Not new to pushing the envelope to make creative ideas happen, Plaskoff and her husband, when engaged, had a Habitat for Humanity Couples Shower where guests brought the tools and manpower to make a difference. Thirteen years later, after voicing her idea in a company meeting, it was clear there was a space for Carpool Talk Show. “Helping people figure out how to strike a balance and to highlight and give the carpoolers a voice is something I’m excited about and something we definitely wanted to support,” said Hill, who is the mother of Caleb (5). “I’m thrilled to work with Melissa, who is dynamic as a mom, wife, professional, and I absolutely admire her transparency and enthusiasm for and about parenting,” said Hill, Speaker’s Bureau director at Real News Public Relations. 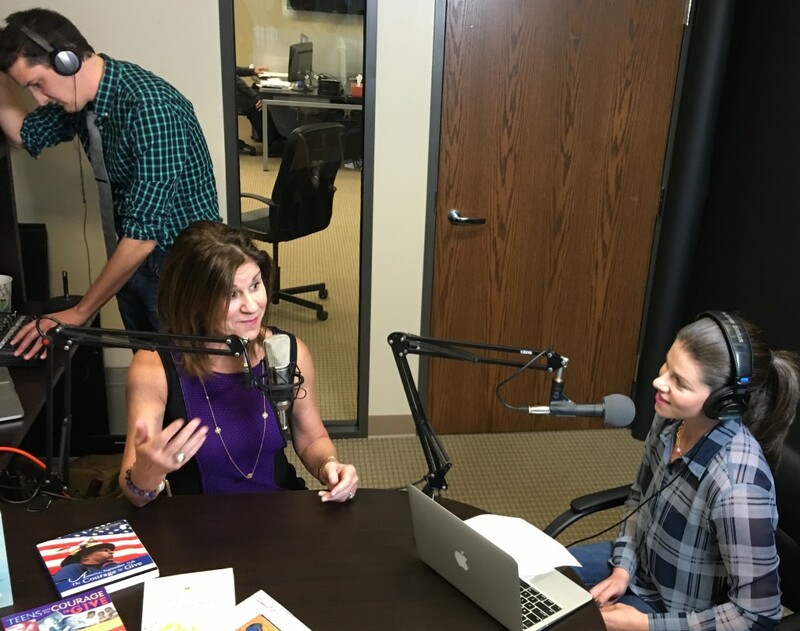 Carpool Talk Show, which premiered online Nov. 1 and will regularly post new episodes, has featured interviews with experts who have logged their own mileage in the carpool scene like author Jackie Waldman, body image specialist Dr. Mandy Golman, and OB/GYN Dr. Jay Staubb. Waldman, author of The Courage to Give, Teens With the Courage to Give, America, Sept. 11 — The Courage to Give, Teachers With the Courage to Give, and People With MS — The Courage to Give, who also contributed to the book Parent School: Simple Lessons from Leading Experts on Being a Mom and Dad, spent many years hitting the road as mother to Plaskoff and her brothers Todd and Michael, making sure her children got to where they needed to be, now filling in and helping out in her role as proud grandmother. Dr. Golman, the mother of Grey (8), Judd (16), and Macy (19) — now a college freshman — believes she has important information to share for listeners, and she looks forward to tuning in to learn from others herself. 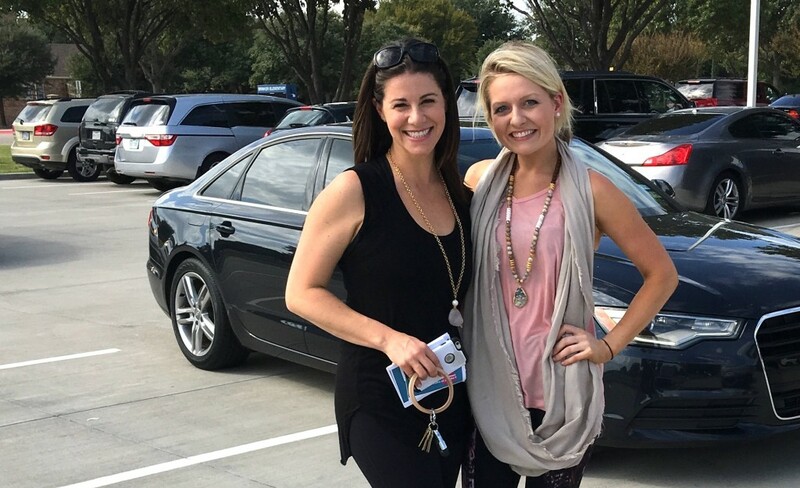 The Carpool Talk Show team is also hitting the road, with listeners referring friends and family to a “Carpool Ambush” in carpool lines throughout the Metroplex to help clean out cars, provide mini-makeovers and more. Drink Daily Greens sharing juice and snacks, Petals and Stems donating flowers, and Mystical Coffee Club providing a caffeine jump are among those sponsoring the segment to help drivers wet their whistles while they wait. DALLAS — S. Jack Balagia received a standing ovation last week as he was presented with the 2015 Larry Schoenbrun Jurisprudence Award during a special luncheon held in his honor. About 340 people attended this Friday, Nov. 20 luncheon, held at Fairmont Hotel, in honor of Balagia, the vice president and general counsel of Exxon Mobil Corp.
During the presentation, Balagia was lauded for his highly successful law career, his ethics, and his commitment to the ideals of the Anti-Defamation League. “Congratulations, Jack, you deserve it,” Jeffrey S. Levinger, ADL regional board chair, said before handing him his award. Balagia expressed his appreciation for the presence of those who attended the luncheon — a number that included his wife, mother, sister and numerous colleagues. But he went ahead anyway and thanked his “work family” colleagues at Exxon Mobil, his UT law school foundation comrades, many of his former law partners and even a few law school classmates. Balagia explained that the 2015 Larry Schoenbrun Jurisprudence Award holds incredible significance to him. In point of fact, Balagia is a proud Lebanese American. Both sets of his grandparents immigrated to America from Lebanon, colleagues pointed out during the ceremony. 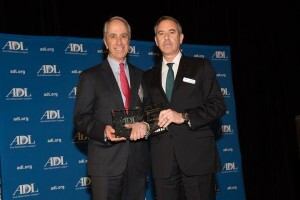 The Anti-Defamation League presents this award annually to a member of the legal community. Levinger said Balagia fits the bill because he truly embodies the principles of ADL — outstanding leadership, exemplary contributions to the community, and a commitment to high ideals. Balagia’s colleagues in the law profession and members of the ADL took turns praising Balagia for showing the character to consistently do the right thing, establish fairness, care about and help people. “Please know that the ADL is proud to honor you today,” Roberta S. Clark, regional director of the North Texas/Oklahoma Regional Office of the ADL, told Balagia from the podium. Charles W. Matthews General Counsel (retired) Exxon Mobil Corp. has gone on record more than once stating Balagia is known for his sterling legal reputation throughout the United States. His luncheon co-chair was Nina Cortell, partner of Haynes and Boone LLP, a law school classmate of Balagia. Balagia has been listed in The Best Lawyers in America and named a Texas Super Lawyer by Texas Monthly magazine. He graduated from the University of Texas at Austin with a Bachelor of Arts in 1973 and a Juris Doctor in 1976. Balagia serves and has served on a number of boards and committee, including the State Bar of Texas’ Public Affairs Committee. 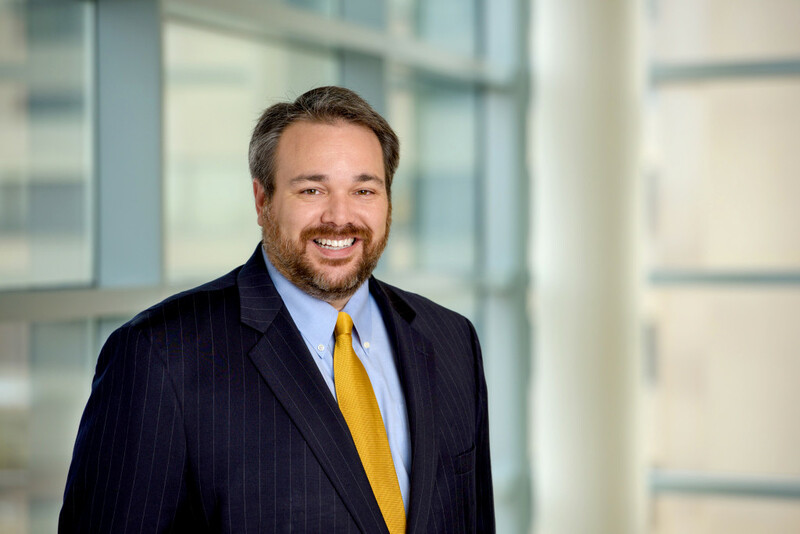 In 2000, the Texas Supreme Court appointed him to the Court’s Board of Disciplinary Appeals, which has jurisdiction over Texas lawyer disciplinary matters. He served as chairman between 2003 and 2005. Balagia, a past president of the UT Law School Alumni Association executive committee, currently serves as a trustee of the UT Law School Foundation. During his comments, Balagia emphasized his great appreciation for ADL and its values. The holiday of Thanksgiving is upon us and the messages of this day are many. The importance of being thankful and the value of expressing those thanks are crucial lessons for our children to learn. Here are a few thoughts to make your Thanksgiving both Jewish and American. Don’t forget to say the Shehecheyanu! I am honored to quote my favorite Jewish educator, Joel Lurie Grishaver, from his book 40 Things You Can Do to Save the Jewish People. “It is important to treat Thanksgiving as a Jewish ritual meal and thereby blend Jewish and American values into a single expression. Thanksgiving has always had its own rituals. …We had never thought to make it Jewish — we had never thought to remember that when the Pilgrims were gathering that first fall harvest in their new land, they went back to the Bible and found their own way of bringing the Sukkot ritual alive. With children and adults, you have to practice the “Gratitude Attitude” for it to become part of your life. This song shares many of the wonders in the world that we take for granted. This is a great one to sing at Thanksgiving or find any number of great “thankful” songs. Since Thanksgiving is not Shabbat, you can play many thanking songs from iTunes and YouTube. And, together with your family, make a list of all the things you could be thankful for in a day. I thank You God for all the gifts You share. Thank You God — for the birds and the trees. I thank You for the wonders all around. I thank You for the blessings that are mine. Is it safe to say that, at least in France (Marseille), you’d agree there is something to the idea of trying make yourself unrecognizable Jewishly, at least for the moment? Your reference to the French Chief Rabbi’s earlier ruling now appears to be (sadly) very timely. What I think you mean is to become unrecognizable Jewishly in the public domain in order to not attract attention to those seeking to harm Jews, which I think is precisely what the Chief Rabbi of France was seeking to accomplish with his ruling not to wear a kippah in the street. It would not accomplish a whole lot to not wear a kippah if otherwise one is clearly recognizably Jewish in other ways, although it’s hard to set the parameters of recognition as a Jew. During the Holocaust many Jews survived precisely because they made themselves unrecognizable Jewishly and hid behind the mode of dress and speech of their Gentile neighbors. There’s no question that they did the right thing under the circumstances. I hate to mention the ominous “H word” in reference to, or in connection with, current events, but there certainly, sadly, are parallels to be drawn from modes of survival from then to now in some parts of the world. The Jewish teacher stabbed in Marseille was indeed wearing his kippah in the street at the time, although his exiting the Yavneh school building is likely to have labeled him as Jewish in the eyes of his attackers whether or not he had donned a kippah. The only antidote to that form of recognition would be to shut down Jewish life completely. That would imply shutting down Jewish schools and all Jewish institutions in order that, coupled with a change of dress, nobody would be recognizable as a Jew. I don’t think that’s what you were implying in your question, but if it was, in my humble opinion that would not, presently, be justified. This is because, despite the danger lurking in the streets, French Jewry is, indeed, a target for Muslim terrorists, they are not, God forbid, in the midst of a holocaust where all Jews are in constant danger and fear for their lives. If, Heaven forfend, that would be the case, the matter would be judged differently, and whatever necessary would have to be done. In the present situation, however, such a drastic move is not necessary, and probably forbidden. I must express my profound horror that the situation has become such that we are even having this discussion. I am having trouble wrapping my head around the fact that we still have Holocaust survivors among us who are a testimony to the darkest period in world history, and those very people are again witness to a worldwide apathy to, or condoning of, widespread spilling of Jewish blood. It is so bizarre to be, of necessity, something outside the realm of normalcy by any standards that we must take notice that we all are witness to some Divine plan rapidly unfolding before us. The silver lining in this very dark, sinister cloud is that deep within it is the undisputable evidence that the Jewish people are not living by natural sociological norms, but are an Eternal People existing within a higher plan. Let us all contemplate that with all its ramifications and responsibilities inferred thereby, and be fit to connect to that eternity through our thoughts, speech and deeds. With ISIS taking responsibility for the downing of the Russian airline, the terrorist attacks in Paris and making specific threats against U.S. cities, and al-Qaida taking responsibility for the attack this week against foreigners in a hotel in Mali, I am once again being asked about the similarities and differences between these two radical Islamic terrorist organizations. Al-Qaida (“The Base”) is a global Islamist jihadi terrorism group founded by Osama bin Laden around 1989, for the sole purpose of attacking and humiliating the U.S. until all Americans leave Saudi Arabia and Muslim Middle East lands. Initially it was made up of Arab volunteers who fought against the Soviet invasion of Afghanistan in the 1980s with the help of the CIA. Today it includes many foreigners, including Americans who are training in Syria in their Khorasan Brigades to perpetrate suicide attacks on U.S. soil, U.S. commercial airlines, and U.S. interests worldwide (the hotel in Mali this week). They are convinced that a Christian-Jewish alliance is conspiring to destroy Islam. As Salafist jihadis, they believe that the killing of noncombatants is religiously sanctioned. Al-Qaida opposes man-made laws, and wants to replace them with a strict form of Shariah. Al-Qaida regards liberal Muslims, Shias, Sufis and other sects as heretics and attack their mosques and gatherings. Despite the killing of Bin Laden, the rise of ISIS and recent losses in Syria, al-Qaida is still growing and raising money. It commands a multinational, stateless army (Jabhat al Nusra in Syria) as well as a worldwide network of Islamist, extremist, jihadi cells. The two terrorist groups that claimed responsibility for the hotel bombing in Mali, “Al-Mourabitoun” and “al-Qaida in the Islamic Maghreb,” are both al-Qaida franchises. ISIS (Islamic State in Iraq and Sham), aka IS (Islamic State), aka ISIL (Islamic State in Iraq and Levant), aka DAESH (Arabic acronym for ISIL), was founded in 1999 by Jordanian radical Abu Musab al-Zarqawi as Jama’at al-Tawhid wa-al-Jihad, “The Organization of Monotheism and Jihad.” In 2004, al-Zarqawi swore allegiance to Osama bin Laden and the group became known as al-Qaida in Iraq (AQI). In 2006, AQI merged with several other Iraqi Sunni groups. Their main objective was to establish an Islamic State in Iraq while killing or enslaving all Shiites, Christians and Sunnis who refused to accept Al-Zarqawi’s strict interpretation of Shariah law imposed in areas under AQI control. Al-Zarqawi was killed in June 2006. His successors, Abu Abdullah al-Rashid al-Baghdadi and Abu Ayyub al-Masri, changed the group’s name to The Islamic State in Iraq (ISI). When they were killed by the U.S. in 2010, Abu Bakr al-Baghdadi became the new leader, expanding the territory controlled by ISI in Northern Iraq. By 2013 ISI had control of large swathes of Syria, too. Al-Baghdadi again changed the name to The Islamic State in Iraq and Syria (ISIS) or Islamic State in Iraq and Levant (ISIL). In Arabic, ISIL equals DAESH. As ISIS continued to capture territory in both Iraq and Syria it used barbaric tactics to terrorize and eliminate whole villages if Shiites, Christians, Kurds and Yazidis. Still under the patronage of al-Qaida, al-Baghdadi was warned several times by Ayman al-Zawahiri, Osama bin Laden’s successor as head of al-Qaida, to stop the depraved brutality. Al-Baghdadi ignored him. So, In February 2014 al-Zawahiri ordered the disbanding of ISIS. When al-Baghdadi ignored the order, al-Qaida renounced any relations with ISIS. Free to do as he pleased, al-Baghdadi was now in control of over half of Syria and a third of Iraq. In June 2014 ISIS, now renamed “Islamic State” (IS), self-proclaimed itself to be a worldwide Caliphate with Abu Bakr al-Baghdadi its Caliph. As a “Caliphate,” it claims religious, political and military authority over all Muslims worldwide. The very concept of it being a “Caliphate” and the “Islamic State” has been rejected by Muslim leaders worldwide. Both al-Qaida and ISIS are extreme Islamist terrorist groups. Both adhere to the Salafi stream of Islam which wants to take believers back to the “pristine” early days of the faith before it was “polluted and corrupted” by foreign cultures and ideas. Both believe that violence and terror are the only ways to achieve their goal of worldwide Sharia and re-establishment of a real Caliphate and Islamic State. ISIS’ main goal is to establish a large Islamic State in the Middle East by capturing and “ethnically cleansing” non-Sunnis from most of Syria, Iraq, Turkey, Lebanon, Jordan, Egypt, North Africa and Israel (aka: the Levant) and renewing the Caliphate that was abolished by Kamal Ataturk in Turkey in 1924. ISIS’ secondary goal is killing all the Shiites within its state and either killing or converting all non-Muslims to their extreme interpretation of Islam. Al-Qaida is currently planning a wave of attacks against the U.S. that al-Zawahiri hopes will be greater, in both spectacle and casualty count, than 9/11. ISIS has for some time been talking about major attacks in the U.S., using both radicalized home-grown jihadis, like in Paris and Belgium, and Americans and Canadians just back from training and fighting with them in Syria. With no love lost between them, ISIS and al-Qaida seem to be competing as to who will succeed in attacking the U.S. with greater results. So while there are significant differences between them, the one thing that al-Qaida and ISIS fully agree on is their hatred for the West in general and the Great Satan and Little Satan, the U.S. and Israel in particular. Recently, Jerry Stein submitted my favorite kind of Around the Town item — a newsy tidbit about a member or former member of the Fort Worth Jewish community. NYC-based Director Illana Stein (daughter of ourtowners Robin and Jerry Stein) returns to Fort Worth to direct a staged reading of Daedalus by David Davalos at Amphibian Stage Productions. She is thrilled to be back working with Amphibian, having last directed for them a staged reading of Two Rooms. Ms. Stein is originally from Fort Worth, having grown up in the theater scene performing with Kids Who Care and at Casa Mañana. Illana attended Hebrew school at Congregation Ahavath Sholom, was very active in BBYO and attended North Crowley High School. She graduated from University of Oklahoma with a BFA in drama. Illana has been actively involved in the off-Broadway theater scene since moving to New York. Most recently she was associate director on (New York Times Critic’s Pick, Drama Desk nominee for Best Revival) Tamburlaine the Great at Theatre for a New Audience (TFANA), directed by 4-time Olivier winner, Michael Boyd. Upcoming she is assistant director on Night is a Room, world premiere, by Naomi Wallace, at Signature Theatre Company directed by Bill Rauch. This January she returns to TFANA as associate director on Pericles, directed by Trevor Nunn. Illana has worked regionally all over the country with assisting credits including Oregon Shakespeare Festival, Yale Repertory Theatre, Hangar Theatre, and Cincinnati Playhouse in the Park. She is currently a member of New York Madness, a theater company that produces monthly readings and whose recent featured guest playwright was Neil LaBute. Daedalus, written by David Davalos, will have readings for the public at 2 p.m. Sunday, Dec. 6, and 7 p.m. Monday, Dec. 7. Davalos is most known for his play Wittenberg that played to rave reviews at Amphibian Stage Productions and has been performed off-Broadway, regionally all over the country as well as internationally in England, Canada, Australia, and Germany. The cast for Amphibian’s upcoming reading is made up of local favorite talents and New York actors, including Matt Amendt, Patrick Bynane, Jay Duffer, Lauren Hayden, Merritt Janson, and Scott Zenreich. Tickets are available at boxoffice@amphibianstage.com or by calling 817-923-3012. In addition, this holiday season Amphibian Stage Productions is offering a family-friendly holiday treat, Hershel and the Hanukkah Goblins, adapted and directed by Scott Zenreich, which will run from Friday, Dec. 11 through Sunday, Dec. 20. A delegation of dynamic young adult volunteers from the Western Galilee in Israel and Budapest, Hungary will travel to Fort Worth and Tarrant County for a short visit Dec. 7-10. Bob Goldberg, director of the Jewish Federation of Fort Worth & Tarrant County, wants to extend a special invitation to our community to take part in their visit. This group is part of the Partnership2Gether platform, promoting and empowering cohesion between our community and our partnership communities in Akko in the Western Galilee, and Budapest. These young adults come from Israel where Judaism is culturally ingrained and from Hungary, where there is a resurgence of Judaism. During their visit, they’ll experience how Texans live Jewishly and how volunteerism inspires great deeds. They will meet with multiple groups across the Fort Worth and Tarrant County Jewish community who’ve been part of creating volunteer-driven programs to build connections, share with us the scope of their work in their home communities, and find ways in which we can work together. Our visitors Yaniv, Noa, Ory, Aniko, and Tania will be hosted in community members’ homes during their stay. For more information, contact Bob Goldberg at the Federation at 817-569-0892. Politics was the topic of discussion at the Nov. 12 Daytimers get-together and TCU Professor Jim Riddlesperger was the speaker. Atenddes were eager to pepper Riddlesperger with questions while they learned who was likely to survive to the two party conventions and make the cut for final selection. “We also learned that only 49 percent of the population of United States is eligible to vote — not a surprise once you eliminate those too young along with the non-citizens,” said Larry Steckler. Riddlesperger pointed out that thanks to automatic voter registration when one gets their driver’s license, the percentage of qualified registered voters is rising. For the next two Daytimers gatherings, special programs are scheduled. On Dec. 16, the late Theodore Bikel, on videotape, hosts A Taste of Chanukah, a celebration of the joys and music of the holiday. Admission will be free, but you must have a reservation as the number of attendees is limited. On Jan. 20, 2016, Daytimers will start off the new year by “flying in” Celine Dion, with the show she presented for more than three years at Caesars Palace in Las Vegas. Again, space is limited, so you must make you reservations ASAP. To make a reservation call Daytimers Coordinator Larry Steckler. You can reach him at 817-927-2736. If he does not answer the phone, leave a message. We have shared good news about Hal Power in the TJP on many occasions. The nonagenarian is in the news once again. 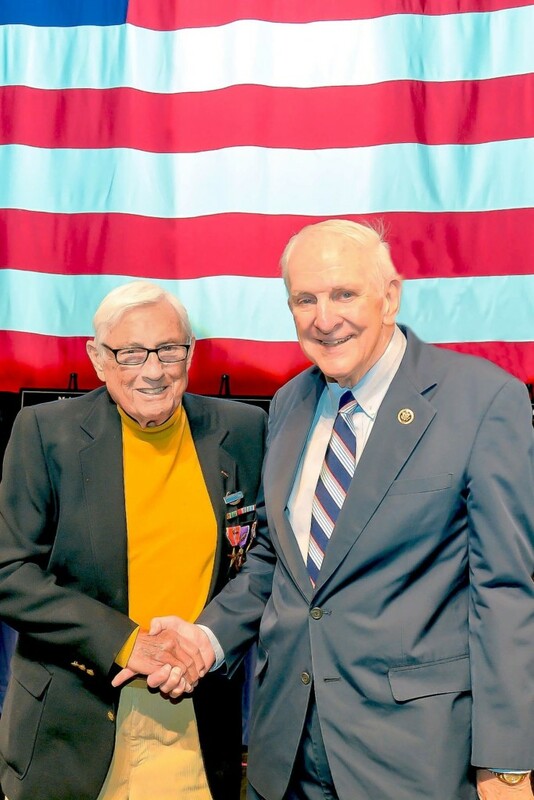 In a special presentation, Power, resident of The Legacy Willow Bend, was recently recognized by Congressman Sam Johnson at the 2015 Congressional Veteran Commendation Ceremony for the Third District of Texas. Power received the award for his unique achievements while serving in the Army’s 106th Division during World War II. Submitted photo Congressman Sam Johnson (right) shakes Hal Power’s hand after a ceremony for Power’s Congressional Veteran Commendation. eceived the Combat Infantryman Badge, the Bronze Star Medal with Bronze Oak Leaf Cluster and “V” (Valor) device for saving the lives of U.S. troops behind German lines during the Battle of the Bulge, four Purple Hearts, the Prisoner of War Medal, the European-African-Middle Eastern Campaign Medal with three service stars and the Good Conduct Medal, among others. Power was nominated by fellow veterans Robbie Robinson, a past Congressional Veteran Commendation recipient and fellow resident at The Legacy Willow Bend, and Colonel Ben Greenfield, who deemed Power to be an extraordinary individual and a true hero of World War II. During World War II, Power participated in the Battle of the Bulge, after which he was captured and held prisoner of war. It was here that Power’s tale begins, a truly remarkable story of courage and survival. ower endured brutal beatings and manual labor in German prison camps that brought him to the brink of death. Despite his condition, Power remained determined to return to his fiancée and his family. It was that hope and determination that enabled Power to eventually escape the prison camp and save the lives of four of his fellow soldiers. “It is my distinct honor to recognize Private First Class Power for his service to our great nation,” said Congressman Johnson. “It is stories like Power’s that played a role in inspiring my fellow ROTC brothers and me to take our military careers further. rded on a video that is now in the Library of Congress. Many thanks to Amy Jones of Forte PR for submitting the above information. At 7:30 p.m., Saturday, Dec. 5 the Aaron Family Jewish Community Center will once again be transformed into the hottest venue in North Texas for the annual be. event. In a nightclub-like atmosphere, guests will wear their most chic attire while enjoying dinner, dining, dancing, cocktails, live music and amazing raffle prizes. be. 2015 is chaired by Angela Aaron Horowitz, Linda Garner, Lisa Lieberman, Jill Tananbaum, and Ellen Ungerman. Proceeds from the event benefit The J’s core areas of service including wellness, education, endowment and campus. Tickets for the event begin at $100 each and can be purchased at jccdallas.org/be. Raffle prizes for the event include a Las Ventanas Vacation Package (Cabo Penthouse), a $5,000 gift card, and a JCC Lifetime Membership. Raffle tickets are $100 each, three for $250 or eight for $500 and can be purchased online or at the event. nching a new initiative called The Giving Tree which allows for philanthropic support of the various branches of the J including fitness; Jewish life and learning; preschool, youth and teen services; seniors; tennis and gymnastics; and camp. The branches on The Giving Tree represent its departments and each leaf represents enhancements that will allow these departments to grow toward the future. e Regents’ Award recognizes educators in the University of Texas System for mentoring and personal commitment to students and the learning process. Dr. Greenberg’s research focuses on neuroimmunology, specifically transverse myelitis, neuromyelitis optica, and multiple sclerosis. He works to identify biomarkers that will be diagnostic, prognostic and advance the understanding of these rare disorders. He also specializes in the design and implementation of Phase I translational clinical studies for these conditions. Since 2010, Dr. Greenberg has been recognized with 10 UT Southwestern Medical School teaching awards. He has won the First-Year Medical School Teaching Award in each of the past six years. One little-known fact about Dr. Greenberg? Before moving to Texas, he was a firefighter in Baltimore County, Maryland. Second and third prizes, gift cards for $100 and $50 respectively, went to Laura Davis and Barney Goodstein. Windsor Senior Living is located at 7750 LBJ Freeway in Dallas. On a beautiful Sunday afternoon in 1965, I was strolling from my home to the shopping center in the middle of the small south suburb of Chicago into which I’d moved from the heart of the city two years before. This man made it clear how unhappy he was that the Church had stopped requiring all Masses to be said in Latin, and was allowing — even encouraging — priests around the world to conduct them in their vernacular languages, whatever those might be. Ages-old prayers in modern English obviously were not to his taste. I don’t think he was also railing against Nostra Aetate, which — like the loosening of language requirements — was also promulgated by the Catholic Church 50 years ago. But many things were happening “In Our Time,” which is what the Latin “Nostra Aetate” means, recognized by the then-reigning Pope Paul VI. In English, this document’s official name is The Declaration on the Relation of the Church to Non-Christian Religions, but it’s quite widely taken as His Holiness reaching out most particularly to Jews, and basically — after more than 2000 years — absolving us of the crucifixion of Jesus. So, on a recent beautiful Wednesday evening, I drove from my Dallas home to the Meyerson Symphony Hall for the special program lauding Nostra Aetate on its 50th anniversary. The first speaker was Bishop Brian Farrell, whose imposing title is Vatican Secretary of the Pontifical Council for Promoting Christian Unity. The second, with a title no less imposing, was Rabbi David Rosen, formerly the Chief Rabbi of Ireland, and now the American Jewish Committee’s international director of interreligious affairs. But first, there was music! The choirs of the University of Dallas, our region’s major Catholic institution of higher education, and of well-known Temple Emanu-El, posed an interesting contrast: I quickly realized that while many Temple choir members had been around a half-century ago when Nostra Aetate was born, this event was pure history to all those University singers of today. And with this came another realization: Those youngsters may still be around when the proclamation reaches its century mark. I will not; my children will not; my grandchildren may or may not be. But my two great-grandsons, preschoolers today, will be in their 50s, and I would hope leaders in their own Jewish communities of the time, celebrating the event. Nothing said by the speakers really surprised me; my high point was hearing the Bishop state so forthrightly that no Christian can really understand his or her faith without reading the Old Testament, because that was what Jesus knew — and, of course, Jesus was Jewish himself. Like other gatherings of this kind — although not always of this import — music welcomed and dismissed. Tucked into every program, so all could join in song, was The God of Abraham Praise, the hymn’s words written by Judaism’s 12th-century genius Moses Maimonides, its melody — played out by the Meyerson’s imposing organ — composed some 500 years later. Every Thanksgiving, Americans have a love affair with Turkey en masse. No matter what your ethnic background or personal preferences, most people prepare turkey in one form or another. The most logical meal to make with turkey remains (bones and clinging meat) is broth for soup. So here is a recipe for that. If you’re the type to throw away the carcass (aka bones), there’s still the issue of what to do with leftover meat. The large slices go quick – Thanksgiving II, the sequel – or sandwiches for the second day or night. Then there are the leftover leftovers. The pieces that are too small or not everyone’s favorite. These often hang around for a few days before they’re tossed, along with the dried-up stuffing and rock-hard mashed potatoes. And we all feel guilty throwing it away. This year, don’t discard! Reinvent! Turn that turkey into a sweet and savory turkey salad (chop turkey, add mayonnaise, toasted nuts, dried fruits and seasonings and eat!). Or a pot pie or a Thai treat. You don’t need much meat to stretch surplus gobbler into meals you actually want to eat. So after you’ve loved your bird, learn to love it again … and again. Like a pot pie but with an easy crumbled topping. Heat oil in a large pot or Dutch oven, over medium high heat. Add the onions and celery and sauté until tender, about 5 minutes. Remove from heat. While the vegetables are cooking, combine the turkey with the flour and toss well. Add the turkey to the skillet and cook, stirring for 3 minutes. Pour in the broth and bring to a boil. Reduce heat slightly and cook the chicken until the sauce becomes thickened, about 6- to 8-minutes. Stir in the peas and carrots and add salt and pepper to taste. Divide the mixture among 6 oven-proof bowls or a casserole dish. Sprinkle the topping mixture over the pot pies and bake, uncovered, for 30 minutes, or until the topping is golden and the mixture is very bubbly. Makes 6 servings. Serve this topped with a fried egg and with leftover cranberry sauce for a great and easy breakfast or dinner. Heat oil in a large skillet cook over medium high heat. Add the onion, bell pepper and potatoes. Cook, stirring frequently, for 5 minutes. Add the flour, and cook, stirring frequently, for 3 minutes more. Add the 1/2-cup of broth, Worcestershire sauce, vinegar and hot sauce and cook, stirring constantly, until the mixture comes to a boil. Stir in the turkey, and salt and pepper to taste (add remaining broth if the mixture appears to dry). Reduce heat and cook the hash until the potatoes are tender. Makes 6-8 servings. The best thing about this soup is how fresh it tastes — the vegetables and pasta are just tender, not mushy. If the soup still lacks poultry flavor, add a few cubes of chicken bouillon to bump up the flavor. Place the turkey carcass in a large pot. Add water, onion, salt and bay leaves. Bring to a boil over high heat. Reduce heat to simmer, cover and simmer for 2 hours. Remove carcass and let cool. Remove turkey from bones. Discard bones and cut turkey into small pieces. Strain broth into a bowl or another pot. Return broth to the pan. Add the turkey pieces, carrots, celery, chopped onion and parsley flakes, cover and simmer over medium heat for one hour more. Just before serving, add the orzo and cook until tender. Before ladling into bowls, stir in basil and chopped tomatoes and heat through. Adjust salt and pepper to taste. Serve drizzled with olive oil and sprinkled with fresh ground pepper. Makes 8 servings. Serve over cooked white Jasmine, Basmati or long grain rice. Combine coconut milk and curry paste in a large saucepan and bring to a boil. Add the onions, bell pepper and turkey and cook for minute. Add the palm sugar and soy sauce and cook for 2 minutes more. Remove from heat, season to taste with salt and pepper. Stir in the tomatoes, mango and basil. Serve immediately over rice with lime wedges on the side. Makes 6 servings.